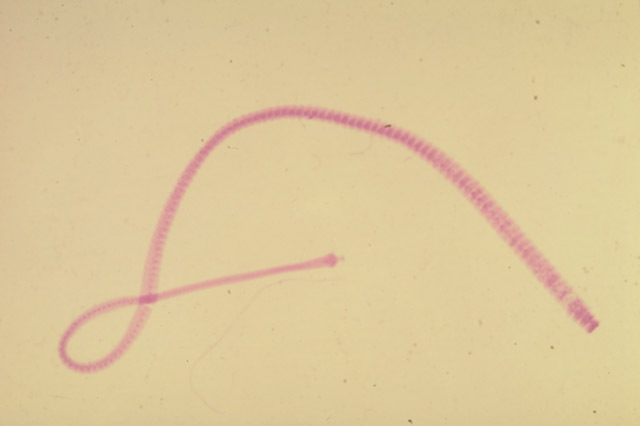 Hymenolepiasis nana is caused by the dwarf tapeworm, Hymenolepis nana, a very small tapeworm (length up to 4 cm with up to 200 proglottids) living in the small intestine. Human infections are caused by oral uptake of eggs which contain cysticercoid larvae. 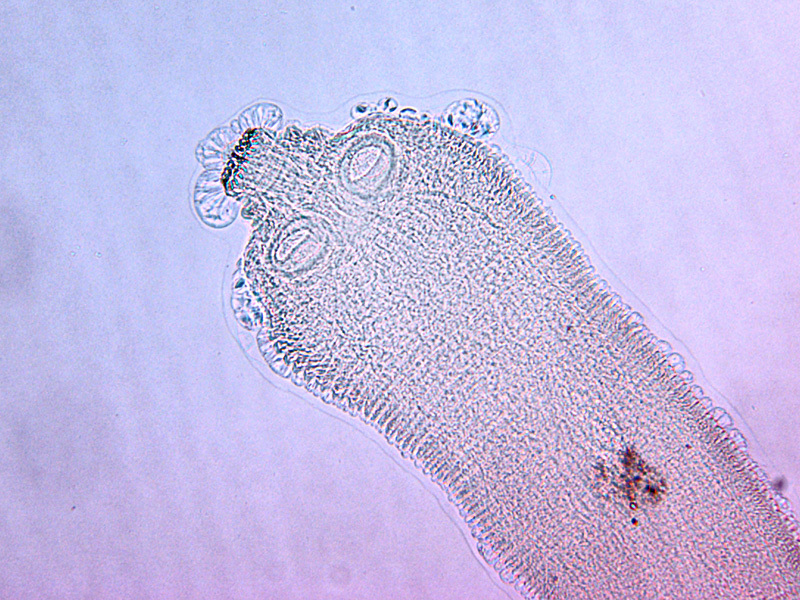 In the small intestine, the cysticercoid larva emerges, attaches to the mucosa of the ileum by its scolex and develops. In 3–4 weeks after infection, worms start to oviposit.